Plastic bottle water filling machine is integrated with washing, filling and capping, apply for motor, power gas and other parts, synchronous controlled by servo motor, to control several parts and produce,and improve the efficiency and reduce cost and consumption and maintenance cost. 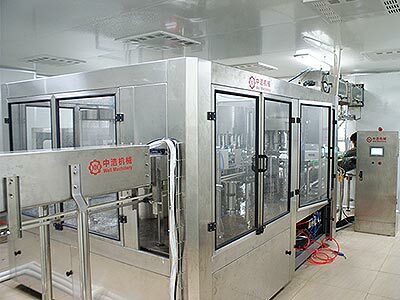 The big bottled water filling machine can finish all the process such as washing bottle, filling and capping, it can reduce the materials with outside touch time, improve the sanitary conditions, production capacity and economic efficiency. It is a good option for water filling machine factory. Well Machinery is a Manufacturer and Supplier in China,and specialized in providing you with big bottled water filling machine,water filling machine,filling equipment and so on. This purified water bottle filling machine is used to produce bottled mineral water, purified water, flavored water, alcoholic beverage and other non-gas Liquid. This water filling machine can be applied to all kinds of plastic products such as PET, PE. Water bottling equipment is mainly used in the beverage filling operations. 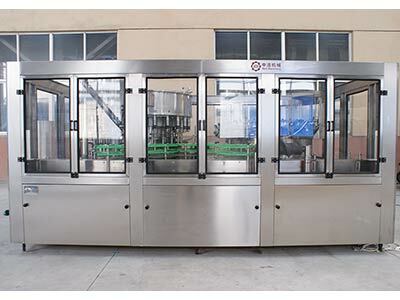 The three functions of bottle washing, filling and capping is composed of one body of water bottling equipment. The whole process is automatic. The water bottling equipment is used for filling juices, mineral water and purified water in bottles made of polyester and plastics. PET bottle water filling machine adopts bottle neck holding transmission technology to realize fully automatic,rinsing,filling and capping.Most elements of the electrical system employ foreign advanced products.Each machine element that contacts with the liquid is made of high quality stainless steel.They obtain the advantages of good abrasive resistance,high stability ,low failure rate,etc.The quality of the equipment reaches the international advanced level. Well Machinery is a Manufacturer and Supplier in China,and specialized in providing you with water filling machine,purified drinking water filling machine,pure water,mineral water,drinking water filling equipment,automatic filling machine and so on. Purified drinking water filling machine combined with rinsing, filling and capping. It is used for mineral water, pure water, and other drinking water filling in PET bottles ranges from 250ml-2.5L, and capacity from 2000-3000BPH. 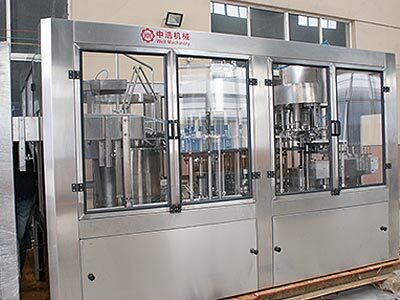 This filling equipment adopts bottle neck holding trans mission technology to realize fully automatic rinsing, filling and capping.Most element of the electrical system employ foreign advanced products. Each water bottling equipment element that contacts with the liquid is made of high quality stainless steel. Well Machinery is a Manufacturer and Supplier in China,and specialized in providing you with water filling machine,water bottling machine,pure water,mineral water,drinking water filling equipment,automatic filling machine and so on. 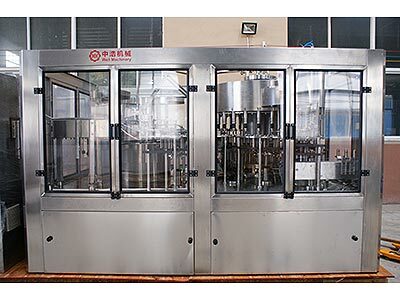 This PET bottle liquid filling machine adopts bottle neck holding transmission technology to realize fully automatic rinsing,filling and capping. Most elements of the electrical system employ famous brand advanced products. 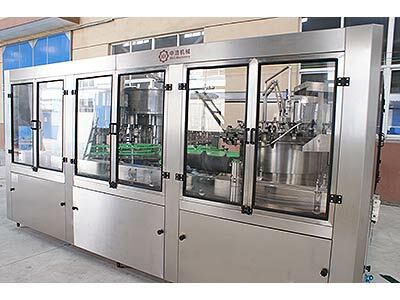 Each PET bottle liquid filling equipment element that contacts with the liquid is made of high quality stainless steel.